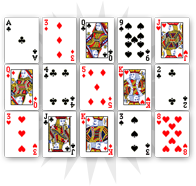 The King of diamonds refers to a rich man who could play a part in the consultant’s everyday-life. 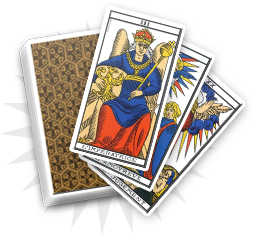 In cartomancy, this card shows the power of wealthy individuals in our society. By representing a mature man, the King of diamonds presents a respected man who could use his power to improve the consultant’s life. You are about to meet a rich influent man who will help you in your daily life. Nevertheless, you will have to think about the legitimacy of his intervention, as he could also use his power to harm you. You have to be sure of his benevolence before trusting him. 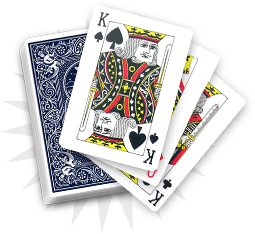 In your professional sphere, the King of diamonds could embody your boss and announce that you are getting a promotion. On the romantic level, the King of diamonds can represent someone who uses his power to prevent you from moving forward. 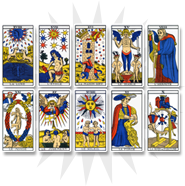 The King of diamonds represents someone from your entourage who could have an importance in your future. You have to be careful as he can influence people and may endanger what you have built. Beware of people who do not keep a promise. If this person is trustable, you can then accept his help and build your future on a solid basis.